I really enjoyed this road trip through much beautiful Transylvanian landscape to Cluj which includes a visit to the spectacular salt-mine at Turda. (Vlad II's home in Sighisoara may be substituted for Targu Mures.) Very capable and entertaining local guide, meticulous. He gives it his all and can show you things other guides can't. Highly recommended! TOUR GUIDE RESPONSE: Transylvanian beauty sells almost by itself, therefore being around to help the process a little is always easy. The tour did hopefully offer that insight that sheds light over this gem of Romania and Europe. TOUR GUIDE RESPONSE: I do hope the additional thrills only boosted the pleasure of being together in Dracula's footsteps. TOUR GUIDE RESPONSE: Thank you for your nice words, when I had ceased to hope they would come. I hope the Romanian part of your trip was worthy of a 5 star experience. There is definitely more about Romania than what we visited together, so plenty for another journey. With your help, Todd and Jenny, some of the people who "don't even know Transylvania is a real place", to quote your words, will get to find that out. It was rewarding being by your side for a week, and I'd like to do that another time. Hallo, Es war eine gute Tour mit einem hervorragendem Städteführer Liviu. Es hat uns sehr gut auf Deutsch durch Bukarest geführt. TOUR GUIDE RESPONSE: Es ist leicht, solche begeisterte Touristen zu fuehren. Ich wuenschte nur, mehr Zeit zu haben. Ich hoffe, diese Stadtfuehrung es war 5 Sterne wert. I highly recommend Liviu for a tour. He is a teacher by training, and it shows - he has a deep knowledge of the history of Transylvania and Romania and he loves to share it. He also clearly has a passion for the artistic and cultural legacy of the area. He absolutely went above and beyond what we had expected and contracted for. TOUR GUIDE RESPONSE: Thank you for your nice words. It felt much easier to do this tour with dedicated tourists, ready to absorb both info and a state of mind, such as you. TOUR GUIDE RESPONSE: I wish the rest of your Romanian stay went on at least as well as soi far. We very much enjoyed our tour with Liviu. He adjusted the tour according to wishes and was considerate towards our daughter of 4yrs who is not as interested in history and guided tours as her parents. The tour was interesting and we learned a lot. Liviu also has a sense of humor, which we appreciate. We can absolutely recommend a tour with him! TOUR GUIDE RESPONSE: Thank you for your good words, and it is easy to guide tourists when these are such emthusiastic persons like you. The little princess, your daughter, made it all easier with her charm and sweetness. Liviu was great. He had extensive knowledge about the sites we visited and good organizational skills. He was flexible to our needs. His English was perfect so it was easy to communicate with him and to understand all the info he gave us. I'd recommend him as a first class guide. TOUR GUIDE RESPONSE: I will remember things like watching you dance or holding that little cat for the kids to play with, and I hope you will recall some of the places or info about them, rather than the unwelcoming weather. Thank you for your generous comment! Our day with Liviu was excellent. He is very knowledgeable, flexible, and personable. Liviu worked hard to customize our VERY full day to see everything we requested. His love for Romania is quite evident; yet he was willing to share his feelings about the challenges his country still faces. We enjoyed our day thoroughly and would not hesitate to recommend his services! We have not used private guides in the past, but this experience has convinced us of the value. TOUR GUIDE RESPONSE: Thank you for your quite highly appreciative comment. Actors live for the acclaim of the audience, and guides are to some extent 'in the limelight', for as long as their tour lasts. I loved your sense of humor myself, and the ease of communicating to you. I hope the rest of your Romanian stay was at least as entertaining as our time together. Happy to have convinced you of the worth of working with ...Locals! All the best! TOUR GUIDE RESPONSE: Ich hoffe, das war fuer Sie alle 5 Sterne wert. He was an amazing tour guide and more knowledgeable and thorough than I had ever expected. I had asked him to customize our tour to accommodate six young adults and he did a very good job with such a large group . We did a trip of Dracula's castle, the Citadel Fortress, the Black Church and also highlights of Brasov. It was a lot to cover in one day but he did a nice job and then he guided us to a local restaurant with local cuisine! His English is fantastic! TOUR GUIDE RESPONSE: It is always a pleasure to guide open-minded people, ready to take in everything a talkative 'host' such as me had to say. I just hope you did get some nice skiing opportunities. Based on our past positive experiences with "ToursByLocals", we hired Liviu, for a 2 and 1/2 day tour of Transylvania. The tours included (1) Brasov-Probably the Best City in the World, (2) In-the-Footsteps-of-Vlad-the-Impaler-Dracula, and (3) Sibiu-European-Capital-of Culture. All three tours completely met our expectations. Liviu's commitment to excellence was met in all areas. We highly recommend this local high school teacher if you want a wonderful experience in his country. TOUR GUIDE RESPONSE: You did bring some 'Californian summer' to Central European wintry landscapes... I hope our time together and the rest of your tour made for a nice birthday present and a beautiful experience to remember. TOUR GUIDE RESPONSE: A guide's work generally moulds on the tourists personality. It is always great to meet such dedicated, understanding and witty travelers alongside whom to wander 'in the footsteps of Dracula'. The day's schedule itself, not short by all means, did not appear long enough together with you. Based on our past positive experiences with "ToursByLocals", we hired Liviu, for a 2 and 1/2 day tour of Transylvania. The tours included (1) Brasov-Probably the Best City in the World, (2) In-the-Footsteps-of-Vlad-the-Impaler-Dracula, and (3) Sibiu-European-Capital-of Culture. Liviu's commitment to excellence was met in all areas. We highly recommend this local high school teacher if you want a wonderful experience in his country. TOUR GUIDE RESPONSE: Despite being a short first meeting, it was already a pleasure to show you around Brașov, and a promising moment annocing better experience. Liviu was a real good tourguide. He knows a lot and tried to satisfy all our wishes! Besides he was real economical and meek! I can real recommend him for your tour! TOUR GUIDE RESPONSE: I would like to thank you and the whole group for the interest, patience and generosity shown during our quite extensive tour together. I hope the needs of this special activity have been satisfactorily catered for. I could only wish to have as many groups as possible. TOUR GUIDE RESPONSE: Being a guide is always easy with quality travellers by your side. Thank you for the nice words and glad we had a pleasant day in nature together. Our time with Liviu could not have been better. A busy schedule through Transylvania from Budapest to Bucharest. Liviu was accommodating in any way needed. Always concerned with our comfort and that we were spending our time as we desired. He has encyclopedic knowledge of history, architecture, politics etc. We would recommend Liviu for any adventure and hope to see him again. TOUR GUIDE RESPONSE: Thank you all for both your appreciative comment and for the chance of spending time in a pleasant way with a 'human touch'. This was our second tour with Liviu, and we thoroughly enjoyed spending the day with him touring Peles, Bran, and Rasnov. His knowledge of these places is impressive, and he is quite a skilled story teller. He brought the places alive with important facts and little-known details. He also knew where to park and the best place to feed our hungry child. The experience of vising these awesome places was much better because of him. It was an amazing day that we will never forget. TOUR GUIDE RESPONSE: I want to thank you for making guiding easier. Facing tourists' enthusiasm, however tired they may feel, is always a kick to any guide, because guides, like artists, feed on the audience's acclaim. I' ve had exactly the kind of audience I could have wanted. TOUR GUIDE RESPONSE: It is a piece of cake to guide tourists who really know why they have come to a destination, and that is to experience as much as possible of what it can give them. Good tourists generally get what they deserve, and then it is natural to thank such tourists because they exist. It is you who make guides good, and get us inspired. All the best to you and your gracious daughter, hoping the rest of your journey was at least as good. Liviu was a very helpful guide who showed us places, that were even new to people of the group, who have been to Brasov before. The whole group (25 persons) was very impressed by his expertise and very friendly kind. Liviu war ein sehr hilfsbereiter Fremdenführer, der uns an Orte führte, die selbst für Reisende neu waren, die nicht zum ersten Mal in Brasov waren. Die komplette Gruppe (25 Personen) war von seiner fachlichen Kompetenz und freundlichen Art sehr angetan. TOUR GUIDE RESPONSE: It is great to show German people around to places that have had so much to thank the German influence in the past. I am glad if tourists could tell others to come and see for themselves. Es ist toll, deutsche Touristen an solche Orte zu fuehren, die wegen des deutschen Einfluesses so viel in der Vergangenheit gewonnen hatten. Ich freue mich, wenn Touristen anderen Leuten erzaehlen koennen, damit sie hier kommen und alles mit eigenen Augen sehen. Beside his outstanding expertise Liviu was also a very friendly guy with very good german language skills. He spontaneously reacted to our wishes and made them come true. We couldn't possibly imagine a better guide! Neben seiner außergewöhnlichen Fachkenntnis war Liviu ein sehr freundlicher Fremdenführer mit sehr guten Deutschkenntnissen. Er reagierte spontan auf unsere Wünsche und sorgte dafür, dass diese erfüllt wurden. Wir hätten uns keine bessere Begleitung vorstellen können. TOUR GUIDE RESPONSE: I want to thank you for all your understanding and enthusiasm. It makes it all easier when one has such tourists. Ich moechte mich fuer Ihre Verstaendnis und Begeisterung bedanken. Alles ist so leichter, wenn man solche Touristen hat. On May 13th and May 14th, we had the pleasure of being guided by Liviu on a driving and walking tour of Transylvania. Not only is he personable and knowledgeable, he went out of his way to accommodate the needs of our traveling family, including a 9 month old infant. Liviu's command of many languages, his insights, extensive knowledge of history, and enthusiasm for this region added to our enjoyment. TOUR GUIDE RESPONSE: Thank you, Marie, and all your family, for the superlative comments, but being knowledgeable is easier when one lives in a place where there is a lot to know about. And your sweet little one was the most disciplined and inspiring tourist a guide can have, a true globe-trotter of times to come. Really nice for a guide to have a 3-generation family so closely united in their will to witness the show around them that the world represents. The tour was really great, even more than expected. Liviu not only organized a tour that met the sightseeing places I was interested within the time constraints I had, but also enriched it with additional places according to my preferences once we met each other. Highlight his care, knowledge and good mood. This tour made me feel closer to Romania, history and people and bring me to Spain the best of the memories. Really enjoyable and informative tour. Liviu took endless trouble to make sure we saw what we wanted to and to accommodate our wishes. His English is very good and his knowledge exceptional. I cannot recommend him highly enough. TOUR GUIDE RESPONSE: Being informative goes both ways,in that guides inform tourist, but it is often tourist wbo also sbed light on the place they visit, as well as on the one they come from. It was easy to be informative with well informed tourist such as You. TOUR GUIDE RESPONSE: Thank you for the warm review, and I hope you may get to accompany more groups to Romania. Transylvania is a blur of comingled cultures, clashing empires, & waves of invasion & immigration. How can a visitor understand all this? By using Liviu's services; he was a walking encyclopedia during our custom 3 day tour. He led us back from the present through 2000+ years of history to pre Roman times, explaining fascinating towns & sites along the way. He is passionate & energetic; he wants you to see it all, so be sure to organize daily schedules that will not wear you out! You will leave enriched. We had interesting day with Liviu. However the weather was not pleasant, he find a way with his knowhow and humor, to make everything as real experience of traditinal Romenia areas. Flexible an high professional. TOUR GUIDE RESPONSE: It's always easy to find a way with dedicate travellers by your side. Thank You, Dan & Sharona. This is an outstanding tour by a "most" competent, genial, friendly and knowledgable guide. Liviu was prompt with my pickup at the Brasov rail station and designed my tour completely to all of my wishes. Full tour of all floors of the Peles Castle, scenic drive in the Carpathian Mountains, and a full-tour of Dracula's Castle. Lunch at an interesting venue. My greatest commendation is Liviu's knowledge of history, politics, environment and he converses in a level of a university professor with humor. TOUR GUIDE RESPONSE: Thank you for your highly appreciative response, and I can only hope you managed to complete your quest for family roots. Best, Liviu. My third Romania tour with Liviu was a customized two day tour throughout Transylvania. A very good mix of churches, fortresses, history, and the beautiful fall colors of the Carpathians! As with my previous tours with Liviu, he knows much about the history, is easy to converse with (& excellent English). He works his charm with local caretakers and residents to get after-hour access to sites, as in one case of a site that had closed for the season and another that we arrived at near dusk. Excellent! TOUR GUIDE RESPONSE: Every tour appears easier with a dedicated traveler by your side, and as in your case, the adventurous addition comes easy and natural. A guide can only feel encouraged to do his best by this approach on the traveller's part. Thank you, Jeff! Our guide was prompt, energetic and knowledgable. He was always making sure our needs were met. No issues. TOUR GUIDE RESPONSE: Thank you, Andrew, and I could only wish to always have tourists as thirsty for discovering people and places as you are. My second tour w/Liviu and another excellent tour of Romania sites. Due to a business commitment, I had to make a last minute change and had to cut the time down to just a little over half a day. Liviu adjusted the plans and I was able to enjoy an excellent visit to the Lucerta Winery and the mud volcanoes and make it back to Ploiesti for my mid-afternoon commitment. I highly recommend Liviu as a tour guide in Romania! Great, but be aware it is a long day. TOUR GUIDE RESPONSE: The day is long, indeed, as so is the list of local attractions. I do hope you were left with memories to cherish and to compensate for the strenuous day. Fantastic day. Our tour added a fortified Saxon church which greatly added to the tour. Bears were great, everyone should se them. TOUR GUIDE RESPONSE: Everything is great when you have such dedicated travellers. The addition was my pleasure. Liviu was an excellent guide. He had planned the trip well with the sites that we had agreed upon. Very knowledgeable about the geography and history of each area. Excellent English and very personable to talk to throughout our day together. The last stop that I had requested was a bit off the beaten path with not the best signage or roads, but he was persistent in getting us there before dark and I was able to see and photograph the mud volcanoes. I highly recommend Liviu as a guide! TOUR GUIDE RESPONSE: Thank you for the kind comment and welcome back here to enjoy the many more or less off-the-beaten-path attractions still waiting to be seen! TOUR GUIDE RESPONSE: Thank you and my sincere hopes everything was worthy of a 5-star experience. The services offered by Mr Liviu were great. He devoted himself to us completely. Spent 1/3 more time with us then he was supposed to. Organised the trip, customised it. He was kind and extremely patient. He shared his knowledge and experience. Had enormous ability to find a way to do what we asked him to do. The guide not only did what he was hired for but also helped us a lot with our kids who had some digestion and motion sickness problems. We would like to recommend Mr Liviu for anyone. TOUR GUIDE RESPONSE: I wish I could have as many tourists, willing to absorb news about all places seen, as possible. I enjoyed this experience, and I'd like to think you did, too. TOUR GUIDE RESPONSE: The idea is not only to show places and share information, but also to cater for everybody's normal needs when they devote a day from their lives to you. It clearly was my pleasure. Liviu. The services offered by Mr Liviu were great. He devoted himself to us completely. Spent 1/3 more time with us then he was supposed to. He was kind and extremely patient. He shared his knowledge and experience. 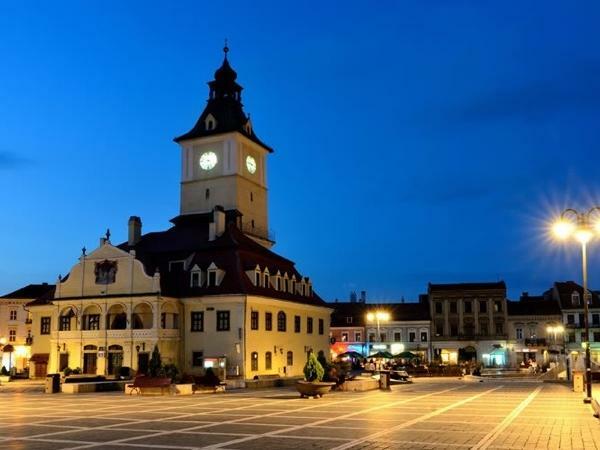 We would like to recommend Mr Liviu for anyone who would like not only to learn a lot but also who wants to spend great time and take advantage of the beautiful country of Romania. The best trip ever! TOUR GUIDE RESPONSE: I definitely enjoy reading this comment, and would like to be able to create this feeling in every tourist. Liviu. TOUR GUIDE RESPONSE: Thank you for your kind feedback, with my hope that each and every of you enjoyed this as much as I liked your company. Liviu.